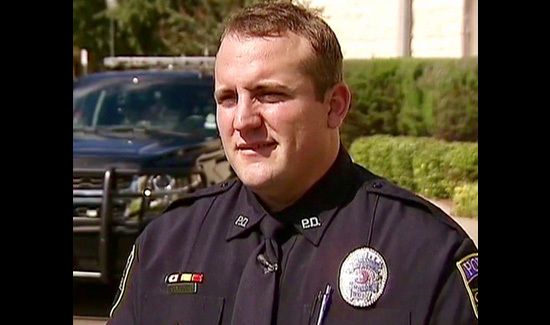 Seconds after a distraught Texas father uttered those chilling words to a 911 operator, Officer Chase Miller was on his way. But Miller — who just happened to be listening to the EMS dispatcher radio at the time — didn’t wait for the paramedics to arrive; instead, he rushed to the scene, knowing it was a short drive away. A dash cam video captured at the scene and later posted on YouTube by the city of Granbury shows Miller pulling into the parking lot to find every parent’s worst nightmare playing out: A terrified mother holding her toddler’s limp body as the boy’s father and several other people attempt to revive him. “Officer Miller knew from his training that the child would need a breathing mask to survive,” Marshall added.